How Long Should Your Back Hurt After a Discectomy? Patients often choose to undergo a discectomy to correct areas of their spine that consistently cause pain. 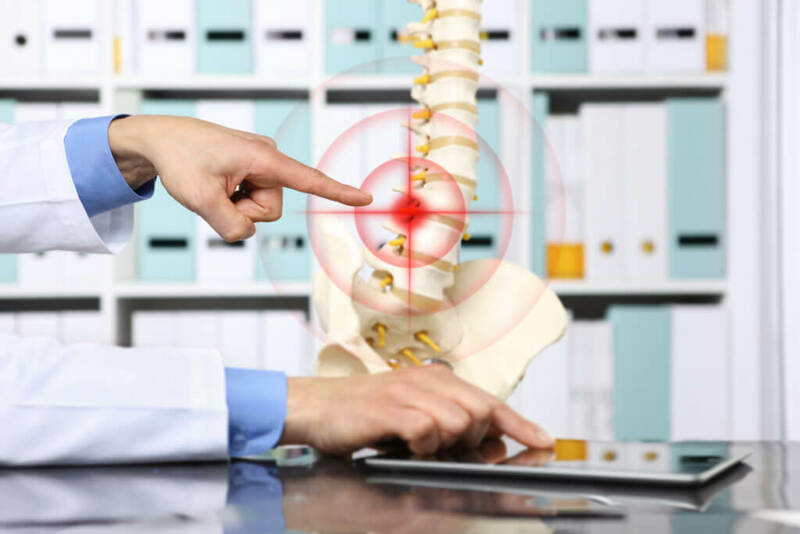 However, the relief from the pain is not always immediate as one would like since there can be some pain experienced following the discectomy and throughout the healing process. For that reason, it is extremely important to be educated on both the normal and abnormal pain symptoms so that you can have the most successful experience possible. For more information on getting a discectomy in Los Angeles, contact Dr. Yashar’s team today. Is pain after a discectomy normal? Since each patient is different, it is crucial to consult with your doctor regarding any pain that is experienced after a discectomy. In addition, taking note of your symptoms and sharing them with your doctor can be extremely helpful since sometimes patients experience waves of feeling better, others initially feel pain that subsides, and still others can consistently feel pain. However, the team at Spine Health suggests that within 6 to 9 weeks the success of the discectomy should be evident. This is due to the fact that an examination can generally be performed from your doctor at that time and that any abnormal healing will be able to be accessed. To get information on a discectomy in Los Angeles with the highly recommended Dr. Yashar, contact the team here. One reason for continued pain even after a discectomy could be a misdiagnosis. In this case, the source of the pain will continue since the direct cause of the issue was not pinpointed properly. Another reason that the pain could be continuing is because of an unsuccessful surgery, which is a risk one takes before undergoing the procedure. According to Spine Health, of the around 200,000 patients that undergo the surgery, about 10% do not experience successful healing. For these patients, it is important to continue on the path to discovering the issue with an experienced doctor to ensure optimal results. For more information on the healing process of a discectomy in Los Angeles, causes for the pain you are experiencing, and which options are best for you, contact the team at Dr. Yashar’s office today. Is there anything that can be done to help with pain? Experiencing pain can be frustrating and debilitating to those who it affects. For that reason, speaking with your doctor about available solutions to the pain is of the utmost importance. Make sure you keep open communication with your doctor both before and after your procedure so that you can discuss pain relief options, directions for optimal healing, and any issues that may arise. What if the pain isn’t getting better? If after your surgery your pain relief is not getting better or possibly getting worse, then you need to consult with your doctor on other options available to you. It is important to also remember that many patients heal differently and have a different journey on the road to recovery, so make sure that you allow the proper time (as advised by your doctor) to let your body heal. Undergoing a discectomy can be revolutionary and can provide an immense amount of pain relief. To ensure that your discectomy in Los Angeles has the best result, make sure to use the trusted professionals at Dr. Yashar’s office. With years of experience, a knowledgeable approach, and passion for your successful outcome, these are the professionals to trust with your procedure. To contact our team and discuss the options available to you, contact us here. Previous post What is Microlumbar Discectomy Surgery? Next post Does Spinal Stenosis Go Away?